If you are an owner of a business, you may be aware of importance of delivering the product with its shape unchanged and functionality retained to the customer. This is the reason that you should be working with your carrier on the same priority as that of ensuring quality of product while being manufactured. However, it surely hurts when we see shipping costs eating away most of the profit. This deduction is felt with severe intensity when you run a small business and you strive to grow. Below are some useful tips that you can use to save on shipping and use that finance to invest in business growth. Be accurate at taking weight measurement of the packages to be shipped. Accurate measurement is essential because there are weight limits. You exceed those limits; you might have to pay double for shipping. Open a UPS account and hand your packages over at their outlets. You can even pay a bit extra to sign up for pickups. If your business involves shipping the packages at reasonable amount, you may be entitled for a shipping discount. The discount percentage would be dependent on the volume of shipment you deal with. When you deal with dispatching a lot of packages, you definitely need to have a lot of shipping boxes. Purchasing shipping boxes in a bulk may save handsome amount of money but an even more cost effective option is to recycle the boxes. There may be a lot of boxes present at your place. Pick the boxes with their shapes and strengths intact. Those boxes should be functioning well for at least one more time. Despite ordering shipping labels via postal service, you can order for those labels online. It should be highly cost effective. Furthermore, you can use online portals for shipping confirmation rather than waiting for the shipping confirmation records posted to you. If you really want to save on shipping, you should be good at negotiating the price with your carrier. They will most probably entertain your request given the fact that you use their service on regular basis for shipping your products. Many people have assumptions that shipping prices are non-negotiable. That’s not the case. Even the big carriers can give you discount if you ask them for it. Do not use extensively large boxes to ship relatively smaller items. Keep measurement of your item in mind and pick the only box that would accommodate the item easily. However, do not ignore any of the safety measures just for the sake of saving money on shipping. 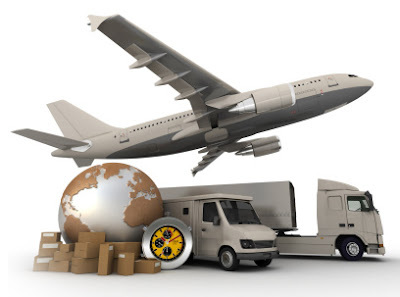 Cushioning material is a big necessity for shipping but these materials might cost huge budget. But then again, you are a business owner. Being that person, you can leverage your business relation with the companies or providers to get discount on the items that you purchase on regular basis.